Despite his frenetically busy working life, Thomas Cubitt seems to have found time to spend with his wife and children, and his few surviving letters show him an affectionate and diligent father. Sometimes he was a little autocratic and lacking in imagination: note his instant reaction to his son George’s financially imprudent marriage and also to George’s desire to go into the church. However, as far as the marriage was concerned, he soon came round and, as Laura’s mother wrote, “he was most talkative and pleasant, constantly addressing himself to L, who was on the opposite side of the room, with G.C. by her side”. Thomas was very interested in plants and gardening and, even while on the Isle of Wight dealing with royalty at Osborne House, he found time to add to his children’s collection of wild flowers (a six-volume collection originally at Denbies). On Sunday 25th March 1821, aged 33, in the church of St Marylebone, London, Thomas Cubitt married Mary Anne Warner, fifteen years his junior. The witnesses were his brother Lewis and Elizabeth Cubitt (possibly the wife of brother William). Apparently born in London in 1802/3, Mary Anne was under 21, so technically would have needed parental consent to marry. Her parents are not known definitely, although her father’s name may have been Samuel. Her sister Martha seems to have been married to a man called Bayley: Thomas left £4000 to Martha Bayley in his will, but tied the money up very carefully so it could not be mishandled. While the character and life of Thomas Cubitt is very well documented in, or can be deduced through, his business dealings, his wife seems a somewhat shadowy figure, with very little definite information about her. (Even her commemorative plaque in St Barnabas Church was obscured in 1954 by the repositioned organ !) However, we do know where she was in certain census years, and can surmise some things about her character. In the 1841 and 1851 censuses, Mary Anne is living at the family house in Clarence Road, Clapham, with Thomas, their children and a string of servants. While at Clapham, she and Thomas each had their own carriages, hers for social life, his for business. She cannot be found in the 1861 census, but in 1871 aged 68 she is living at Denbies with her daughter-in-law Frances (the flamboyant wife of son William), her motherless granddaughter Margaret Sophia Bowring, a German governess, and nine servants, including a page boy. Mary Anne seems to have had quite some influence over Thomas. 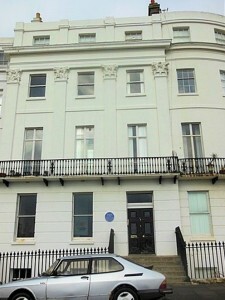 Because she preferred No 13 Lewes Crescent in Brighton, Thomas transferred to his brother William Cubitt the house he had built for her and his family in Chichester Terrace. And, in 1853, when the Cubitts’ eldest son George announced that he intended to marry the penniless Laura Joyce from Dorking Vicarage, Laura and her mother feared George’s parents would not like it. George replied that his mother would be pleased, but his father might not approve – which indeed he did not, threatening to cut George’s inheritance very drastically. George had guessed his parents’ reactions correctly: Mary Anne speedily visited Laura’s parents to say the whole affair had taken them by surprise and, possibly influenced by her, Thomas caved in very shortly afterwards. When Thomas died in 1855, he made Mary Anne, George and Andrew Cuthell (his nephew and right-hand man) trustees of his business, so presumbly Thomas thought well enough of his wife’s managing capabilities, even if she was not a sole trustee. He also left her Denbies, though with a reduced legacy if she remarried. Twenty-five years after Thomas’s death, on 19th November 1880, Mary Anne died at Denbies aged 78. On the 25th she was buried with him in the family grave at West Norwood in the South London Metropolitan Cemetery, the ceremony being performed by the Rector of Ranmore, The Rev. Herbert Waddington. 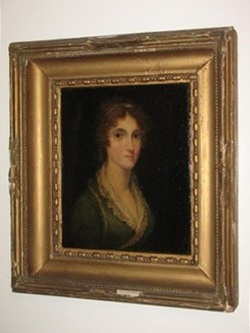 Thomas and Mary Cubitt had at least twelve children: Anne (1820), Mary (1821), Emily (1823), George (1828), Sophia (1830), Fanny (1832), William (1834), Lucy (1835), Caroline (1837), Arthur (1840), and the twins Thomas and Charles (1842). Despite living in a wealthy household, with an untypical (for the time) attention paid to hygiene, five young Cubitts died before their father: Emily at the age of three in 1826, the twin Thomas in 1842 at 13 days, Fanny aged nearly 11 and Arthur aged two and a half in April 1843 (the pair being buried on the same day), and Caroline aged nearly eight in 1845. 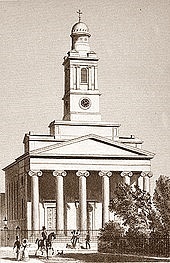 St Peter’s Eaton Square in 1827, the year of its consecration. 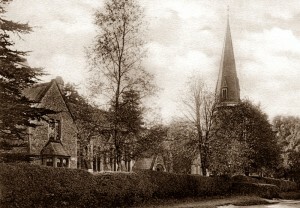 It had its own parish in 1830. Anne was born on 9th June 1820, though not baptised until 10th May 1831, in the recently built St Peter’s Eaton Square, on the same occasion as her much younger sister Sophia. Their father Thomas was described as Builder of Clapham, Surrey. In the general records, these baptisms are sometime listed as taking place at St George’s Hanover Square, but facsimiles of the register show the ceremonies took place at St Peter’s. 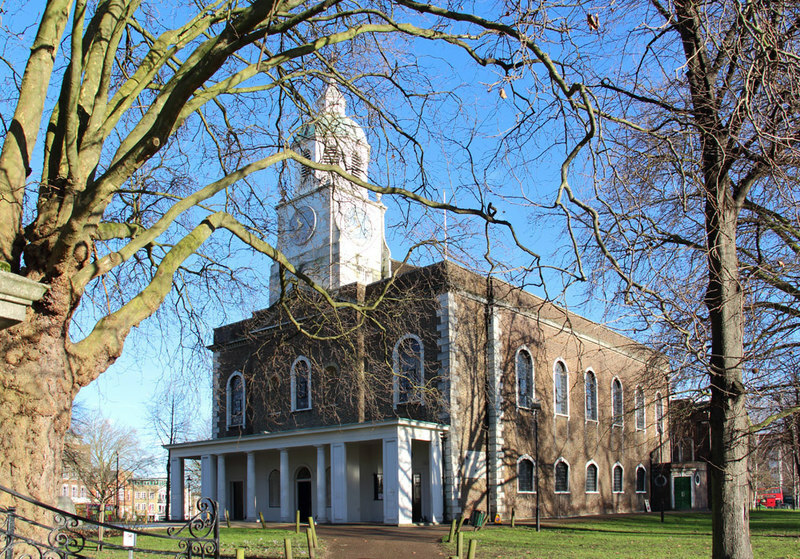 (The building of this church was started in 1824 on Cubitt’s Belgravia development to relieve some of the pressure on St George’s.) Interestingly, the fee charged for each of this pair of Cubitt baptisms was 10 shillings, whereas nearly all the other children at the ceremony were christened for a fifth of that amount. Maybe the clergymen charged according to the prosperity of the parents! Or perhaps this discrepancy was because the other babies were local, whereas the Cubitts were from Clapham. Anne did not marry and, aged only 36, died at Denbies on 28th August 1856, eight months after her father. She was buried at Norwood on 3rd September. Mary was born on 3rd October 1821 in Hampstead and baptised at St Pancras Old Church on 21st December – the same day as her cousin Marianne, daughter of William Cubitt and his wife Elizabeth. The latter is probably the Marianne Cubitt who was buried in Brighthelmstone (Brighton) on 16th June, 1823, aged 1. Both Thomas and William are described in the baptism register as Builders of Grays Inn Lane. Mary is with the family group at Clapham in the 1841 census. Five years later, on 1st December 1846, she married The Rev. Charles Parker at Holy Trinity Clapham. He was the son of a barrister, and had studied at Caius College, Cambridge. In 1849 Mary’s father Thomas purchased the living of St Giles Bodiam and Charles became its Curate, later its Vicar. One of Mary’s interests was botany. As did her father and sister Lucy, she collected and pressed plants, and the Royal Botanic Gardens, Kew, have 53 of her specimen sheets. The plants were collected from 1845 to 1870 at various places ranging from Scotland and Wales to Devon and Cornwall, even Osborne on the Isle of Wight in 1845 while Thomas was rebuilding the house for Queen Victoria and Prince Albert. 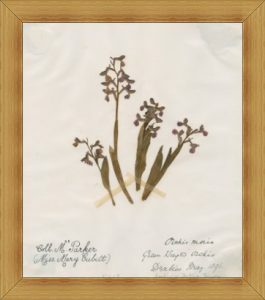 Most are from areas around her various homes in Clapham, Dorking and Kent: Denbies itself was the origin of this green-winged orchid, collected in 1845. Mary and Charles Parker had no children. 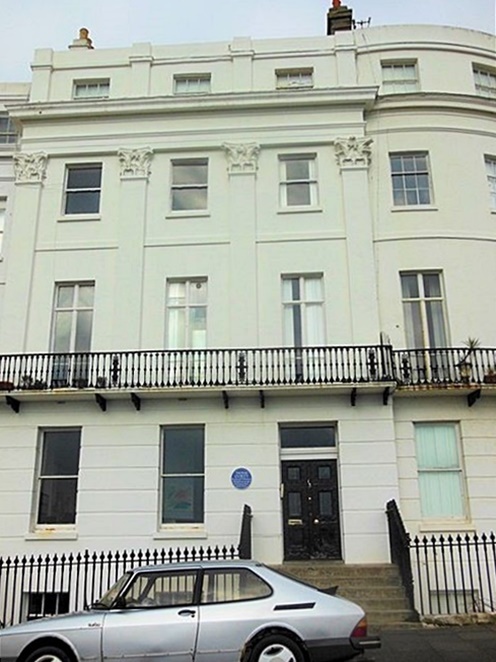 Charles died at Bodiam on 9th April 1885, Mary in Pimlico at her sister Lucy’s house (49 Warwick Square) on 22nd June 1890, though her home was 8 Chichester Terrace, Brighton. 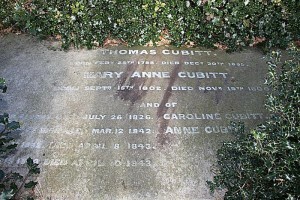 There is a five-year gap in the regular progression of births of the Cubitt children, so there may have been a miscarriage, a stillbirth or a child who died (possibly named Thomas, as the first born son). George, apparently the first born son (4th June 1828 at Clapham), was baptised on 1st August at St George’s Hanover Square, when the family were described as “of Eaton Place”. He married Laura Joyce in St Martin’s Dorking on 14th June 1853 and they had nine children. George was created 1st Baron Ashcombe in 1892. He died on 26 February 1917 at Princes Gate, Knightbridge and was buried at Ranmore. For more details, see his page. 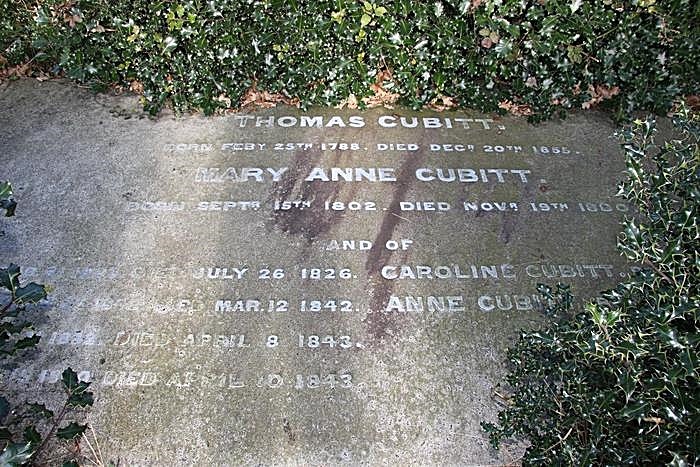 Thomas Cubitt’s fourth daughter was born at Clapham on 27th June 1830 and baptised at St Peter’s Eaton Square on 11th May 1831, the same day as her older sister Anne. 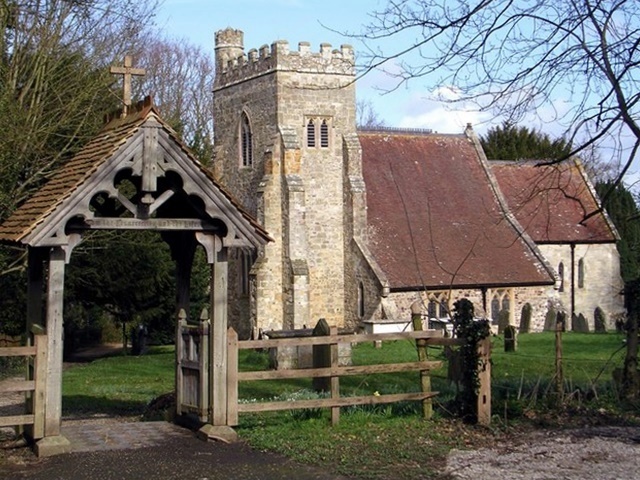 On 12th May 1853 at Holy Trinity Clapham Sophia Cubitt married Edgar Alfred Bowring by licence, a few weeks before her brother George married Laura Joyce at Dorking. The ceremony was performed by her brother-in-law, The Rev. Charles Parker, Vicar of Bodiam. Edgar Bowring, a civil servant, acted as librarian and registrar to the Board of Trade. He was a business acquaintance of Thomas Cubitt and Secretary to the Royal Commission for the Great Exhibition of 1851. He obviously admired Thomas (and his daughter!) and was subsquently involved with him in negotiating for the land for Albertopolis (probably how he met Sophia). Later, he became an MP and a Companion of the Bath (CB). He was a noted translator, particularly of German authors. 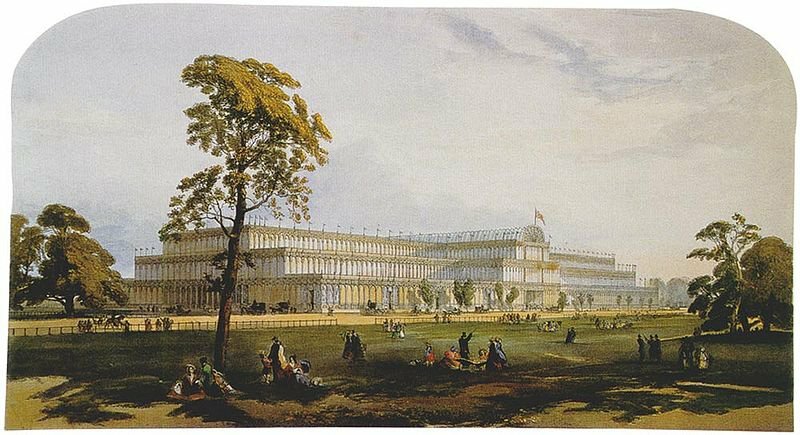 Joseph Paxton’s Crystal Palace, erected in Hyde Park for the Great Exhibition of 1851. for which Edgar, Sophia’s husband, was secretary to the Royal Commission. Sophia and Edgar lived at Clapham Park; their children were Edgar Francis Bowring and Margaret Sophia Bowring. Sophia died aged 27 on 4th September 1857, soon after her daughter’s birth. Her widower remarried the year after her death, his bride being Sophia’s cousin Ellen, daughter of Lewis Cubitt, and they had two sons (Algernon Cunliffe Bowring and Victor Henry Bowring). Edgar Alfred Bowring survived his first wife Sophia Cubitt by many years, dying in 1911 in Gloucestershire. Sophia and Edgar Alfred’s son Edgar Francis Bowring was baptised 4th October 1854 by his uncle-by-marriage The Rev. William Henry Joyce at St Martin’s Dorking. He went to Wellington College and then to Trinity College, Cambridge. 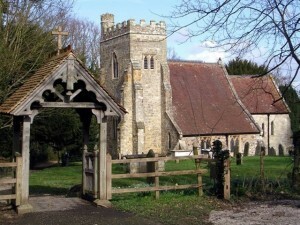 He took Holy Orders and became Vicar at Shamley Green, near Guildford; subsequently becoming Rector of Farncombe, Rural Dean of Godalming, and Honorary Canon of Winchester. According to his cousin Stephen Tallents, owing to an error in Thomas Cubitt’s immensely long will, Edgar would have inherited Thomas Cubitt’s vast wealth and Denbies House, if no son of Thomas’s eldest son George had reached the age of 21. “He [Edgar] would have been a reluctant, as he would have been an unsuitable heir. Physically handicapped from birth [not sure in what way], he had been brought up by his aunts and uncle and had travelled with them on at least one of those mass migrations to the Continent in which well-to-do families engaged.” He died at Winchester on 19th February 1931 aged 76 and is buried at Magdalen Hill cemetery. Margaret Sophia Bowring, Sophia and Edgar Alfred’s daughter, born on 26th June 1857, was baptised at Holy Trinity Clapham on 5th August a few weeks before her mother died. The motherless child seems to have been brought up by various members of the family. In 1871 aged 12 she is with her widowed grandmother Mary Anne Cubitt at Denbies. After Mary Anne died in 1880, Margaret Sophia is living in 1881 with her aunt Lucy Cubitt at Bonchurch, Isle of Wight. Margaret Sophia died 9 January 1888 aged 30; she was described as “formerly of Denbies near Dorking, but late of 49 Warwick Square, Pimlico” (Aunt Lucy’s house). She was buried in St Barnabas churchyard on 13th January (grave ref F12). Twelve years later her aunt was buried alongside her (F13). The elder of Edgar Alfred and Ellen’s two sons was Algernon Cunliffe Bowring. He was a barrister who converted to Roman Catholicism and became the wonderfully named Privy Chamberlain of Sword and Cape to the Pope, and Knight Commander of St Gregory. Edgar and Ellen’s second son was Victor Henry Bowring who added the surname of Hanbury when he married the widowed Ellen Hanbury of llam Hall (pronounced Eye-lam), Staffordshire. 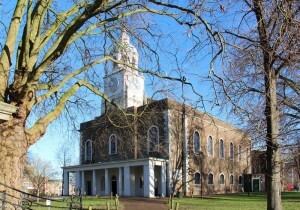 Fanny was baptised in Holy Trinity Clapham on 16th August 1832. In the 1841 census she is with the family group at Clapham Park, but two years later on 8th April 1843, aged 10 years and 10 months she died of a “diseased heart”. She was buried at Norwood on 17th April 1843, the same day as her little brother Arthur aged 2 years and 5 months, the children having died two days apart, although from different causes. 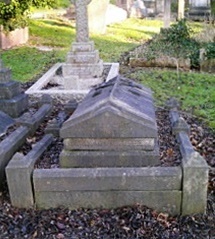 The Cubitt monument at Norwood, plot 649, square 48 (photograph courtesy Julia&Keld, Find a Grave). The two nearest inscriptions are to Fanny and Arthur. William was born at Clapham on 11th May 1834 and baptised 9th July at St Peter’s Eaton Square. Through his contact with Prince Albert, Thomas obtained the 19-year-old William a commission in the 60th Rifles. Although Thomas was an indulgent father, he seems to have had some doubt about William’s steadiness of character and wrote to ask if his son might at once go to India to join the regiment, rather than spend time at the 60th’s depot at Chatham. It was at this time (the winter of 1853) that William’s brother George dropped the bombshell to his parents that he proposed to marry the portionless Laura Joyce. Incensed, Thomas proposed to alter his will, radically lessening George’s inheritance. The situation was saved by William (to his credit since, if his father’s intention had been carried out, he would probably have received a much larger share). In pouring rain he posted from Denbies to Clapham Park, explaining that he was on his way to book George’s passage to India as well as his own. With this threat (and also possibly his wife Mary Anne’s persuasion) Thomas caved in. But William did not stay in India for very long. By 1860, he was back in London and on 16th June at St Dunstan and All Saints, Stepney, he married Frances Merchant by licence, a witness being his brother-in-law The Rev. Charles Parker. William made an Affirmation that the consent of the bride’s father had been obtained since she was not 21. Frances had apparently been born in Grosvenor Yard, Newmarket, her father George Merchant then being a mail cart driver. Which is probably why, many years later, his nephew Stephen Tallents described the marriage as a “mesalliance” and Frances as a “lady of flashing eyes, raven hair and a majestic presence”. With all this scandal, William retired hastily from the 60th Rifles and departed with her to South Africa. 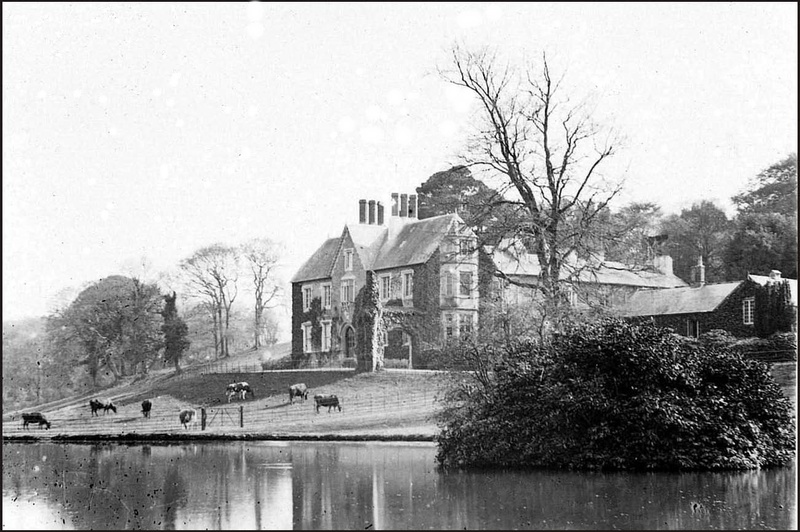 Once the scandal had blown over, they came back to England, and William was given “the materials of a partial exile in the shape of a yacht called the Assegai and a house in Devon called Fallapit, far removed from its nearest railway station”. William was Justice of the Peace (JP) for Devon and kept a pack of foxhounds at Fallapit. In 1875 he financed the restoration of the parish church of St Andrew for the sum of £2,500, and a brass plate to him donated by the workers of Fallapit can still be seen in the church. Stephen Tallents remarks that, having nagged Uncle William heartily during his life, Frances was the “most appreciative of widows. 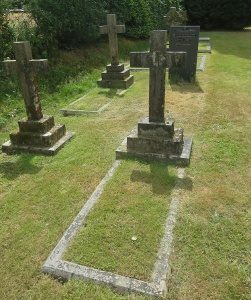 No one in the family ever wore such mourning as she did, or wore it for so long a time.” She lived on until 30th March 1919, dying at Tresillian, Kingsbridge, Devon, her executor being her late husband’s nephew Edgar Francis Bowring. Coincidentally, as William and his brother Charles had died in the same year (1891), so too did Frances and Charles’s widow Alicia nearly 30 years later in 1919. Lucy is credited with the building of St Barnabas School in 1858. In 1863 she is probably the “Miss Cubitt” who gave the schoolchildren a “Tea Party with Christmas Tree and presents for all”. In 1881 she is living on the Isle of Wight at Hawthorne Dene, Bonchurch, with two young nieces (Mildred Cubitt and Margaret Sophia Bowring). By 1891 she is at 49 Warwick Square, Pimlico, a large end-of-terrace house with generous garden, built in 1865 by Andrew Cuthell and the Cubitt firm. Also there were her brother William, his wife Frances, and eight servants. Lucy Cubitt’s grave, with that of her niece Margaret Bowring to the left. Lucy died nine years later at Warwick Square and on 25th August 1898 was buried at St Barnabas (Grave No F13), alongside her niece Margaret Sophia Bowring whom she seemed to have helped bring up. A plaque commemorating her was put up in her brother’s church (see the St Barnabas page). The seventh and last Cubitt daughter Caroline was born at Clapham on 21st October 1837 and baptised at St Peter’s Eaton Square the following May. She is with the family group in Clapham in the 1841 census, but died of an “effusion on the brain” on 14th July 1845 aged 7 years and 8 months. She was buried at Norwood on the 22nd. Arthur, the Cubitts’ third son, born 15th November 1840, died of inflammation of the lungs aged two and a half on 10th April, two days after his ten-year-old sister Fanny, though not from the same cause. The children were buried at Norwood on the same day (17th April 1843). This Thomas Cubitt was one of twins, born prematurely on 27th February 1842 at Clapham Park, fifteen minutes earlier than Charles (see No 12 below). Thomas must have been extremely sick because both babies were baptised at Holy Trinity Clapham on the day they were born. Thomas died on 12th March at 13 days old, the cause of death being given as his premature birth. His father Thomas Cubitt himself registered the death at the same time as he registered the birth of both twins. Baby Thomas was buried at Norwood on 19th March. Charles, the younger twin, was born 27th February 1842, and also baptised the same day as his older twin Thomas at Holy Trinity Clapham. Although premature like his twin, unlike him he survived nearly fifty years. In 1851 Charles is with the family at Clarence Road, Clapham. 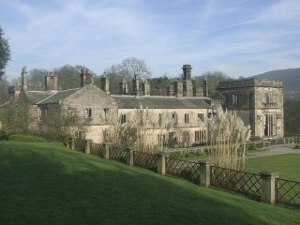 That summer his father arranged for him to have lessons with a tutor at Denbies. In 1859 he went to Trinity College, Cambridge, taking his BA degree in 1864, and MA three years later. He was ordained deacon in 1866 and priest (at Oxford) in 1867. From 1866 to 1872 he was Curate of Great Bourton in Oxfordshire, and from 1872-73 its Vicar. In late 1870 he married Alicia Matilda Trueman at Blean in Kent. A few months later the couple are staying at the Bonchurch Hotel at Bonchurch, Isle of Wight (sister Lucy had a house there). They do not appear to have had children. Stephen Tallents says there was a family tradition that Charles had at one time gone out as a missionary to the natives of the Orange Free State in South Africa, but with a chef to look after him! This tradition may be partially verified by the records of Cambridge University in that from 1881-6 he was Chaplain at Bloemfontein. Whether Alicia went with him is not certain. By the 1891 census, still a “Clerk in Holy Orders”, Charles is boarding at Dairy Cottage, Ranmore. 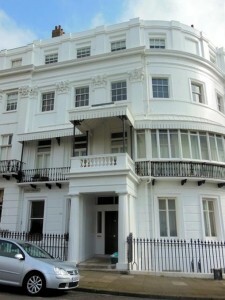 Alicia, however, is living at No 16 Lewes Crescent, Kemp Town, Brighton, with a staff of servants. Five months later, on 22nd September 1891, Charles died at No 16, although described as formerly of “Hawthorndene, Bonchurch”: did he buy his sister Lucy’s house or was he just living there? A month later on 23 October he was followed to the grave by his older brother William. Their surviving brother George was executor for both of them. Charles was buried in Woodvale Cemetery, Brighton. Ten years later, in 1901 his widow Alicia is living in Hove; in 1911, at 178 Ashley Gardens, London SW, with a cluster of servants. She died on 1st August 1919 at Gensing Lodge, Maze Hill, St Leonard’s on Sea, Sussex, although her home was given as Holly Lodge, Wimborne Road, Bournemouth. Coincidentally, as Charles and his brother William had died in the same year, so too did Alicia and William’s widow Frances. There is a composite list of the sources consulted for Thomas Cubitt and all members of his family (including his siblings William Cubitt and Lewis Cubitt), on his page, but details for the individual family members are available if required. Most of the sources mentioned can be viewed online via Ancestry, Find My Past and Free BMD.